What comes to mind when Libya is mentioned? Civil war, bombing, militias, insecurity… but Libya is much more than that. The media coverage of the destruction of Libya converges with another positive trend: the emergence of a new generation of Libyan entrepreneurs. Among them is Fattoum Nasser. She was a teenager when the conflict started in Libya. “The war and its consequences have triggered my entrepreneurial endeavor,” affirms Nasser. The 21-year-old English-Arabic translation student has proven that innovation can come out of a war. 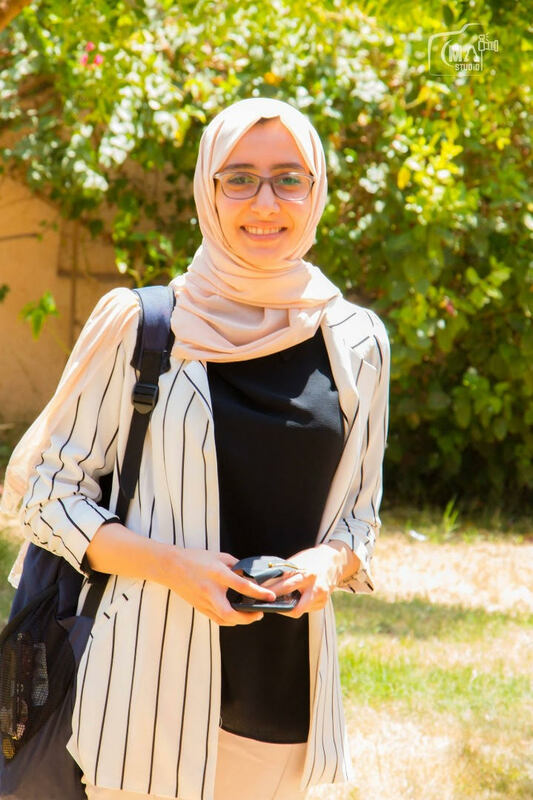 She developed Yummy, a food delivery application designed to help female cooks grow their business, and is one of the winners of Enjazi Startup Competition. The competition, held in November 2017, was the result of a fruitful cooperation between MIT Enterprise Forum Pan Arab and Tatweer Research, a government-funded company dedicated to creating Libya’s knowledge economy. The Enjazi competition program included a 35-day-training in Benghazi and two weeks advanced coaching sessions in Lebanon. “Enjazi was the push that enabled us to start a business with the right tool and knowledge. Many people want to build a startup but have no background on how or where to start from. This program also allowed us to network with entrepreneurs,” says Nasser. Following their product demo in this competition, the Yummy team won a trip to Cambridge to meet with companies and introduce their business ideas. In March 2017, Nasser met Aziza Adam during a Training of Trainers on Digital Security in Sebha. During the conversation, both women noticed a trend in Libya: because of the financial crisis, many women started to work by delivering home-made meals cooked in their own kitchens; however, the delivery process lacked an efficient order management since there was no monitoring process or marketing strategies. Both women agreed to co-found Yummy to fill this gap: it provides outreach and linkage to customers, delivery, marketing and client feedback so the cooks can expand their business. “By ensuring a successful delivery service, getting clients’ feedback, and bringing visibility to their products by posting online pictures, women would improve their cooking and sales without having to deal with the hassles of daily customer demands,” Nasser explains. Burning with the desire to make positive social impacts, Nasser and Adam came up with the idea of helping Libyan students who cannot afford to pay their tuition fees by recruiting them as delivery drivers. 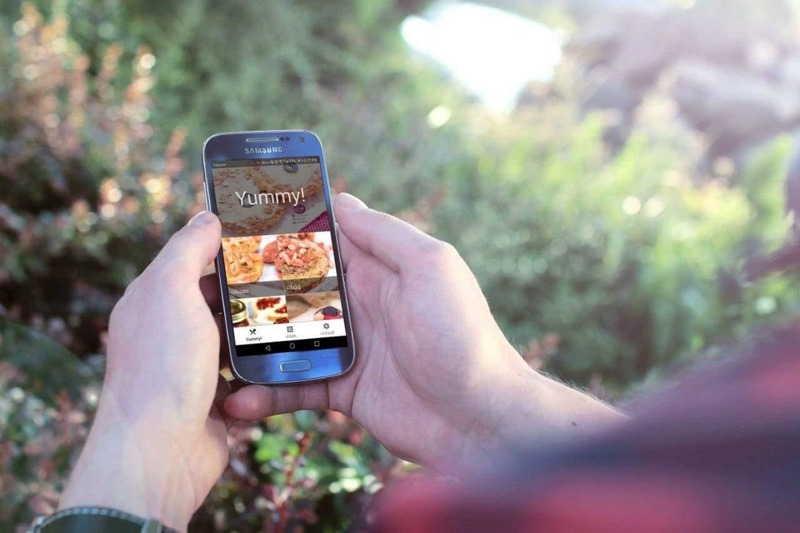 Not until November 2017 that Yummy started serving Southern Libya through a social media platform. One major challenge is delivering food to insecure areas due to high carjacking rates. Nasser solved this challenge by securing a neutral meeting place between the driver and the client. Another challenge is the regular blackout causing internet cut. This is why orders will be handled through the phone. While these two challenges are directly related to the political conflict in Libya, there is another obstacle related to social behavior with regards to online banking. In fact, the majority of Libyans don’t trust the online banking system. So Yummy overcame this problem by accepting payment with cash. Ten months on, Yummy operates on social media platforms, like Twitter, Facebook and Instagram, with more than 400 cooks and 400 drivers, and covers the capital Tripoli, Benghazi and Sebha. Nasser is now testing the App, giving the private beta to 50 selected users in Tripoli, Benghazi and Sebha. “We want to make sure the app will function properly, fix any potential problems, and receive feedback,” Nasser explains. Beta testers are helping Nasser find potential bugs as well as giving her constructive feedback regarding Yummy App before its official public launch this month. The team is considering contacting potential investors once the business becomes sustainable.